ELIZABETH CITY, N.C. – Last week the Insurance Institute for Highway Safety (IIHS) announced their top safety picks for 2016. We’re very proud to say that the 2016 Chrysler 200 was awarded an IIHS Top Safety Pick and rating. This is the highest rating given by the IIHS. The 2016 Chrysler 200 was rewarded IIHS Top Safety Pick and ratings likely because of the Automatic Emergency Braking (AEB) technology. The vehicle locked-in the highest possible scores in every IIHS crashworthiness test. 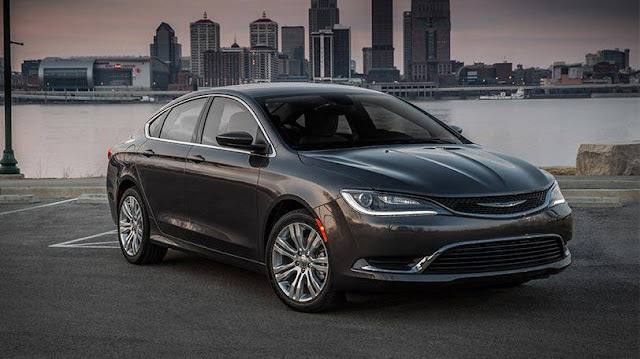 In the Chrysler 200 the AEB technology is known as Full-Speed Forward Collision Warning-Plus and was given an overall rating of “superior.” The technology combines the benefits of radar with the capabilities of camera systems. Together they achieve great precision in safety technologies. If you’re looking for a new vehicle, why not choose one that’s a top safety pick? You can find the Chrysler 200 at Perry Auto Group, your Chrysler dealership. We look forward to helping you find the best car on our lot. Come in and take a test drive with any of these great vehicles today.